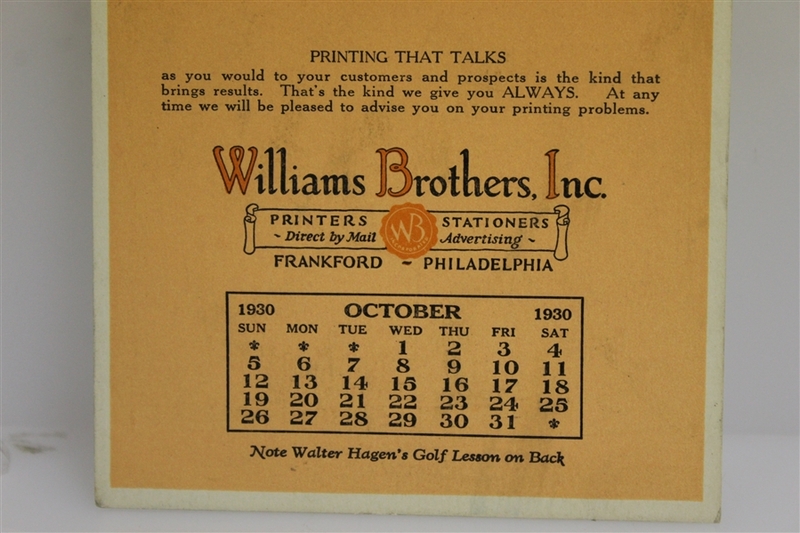 The Williams Brothers took value inter printing. 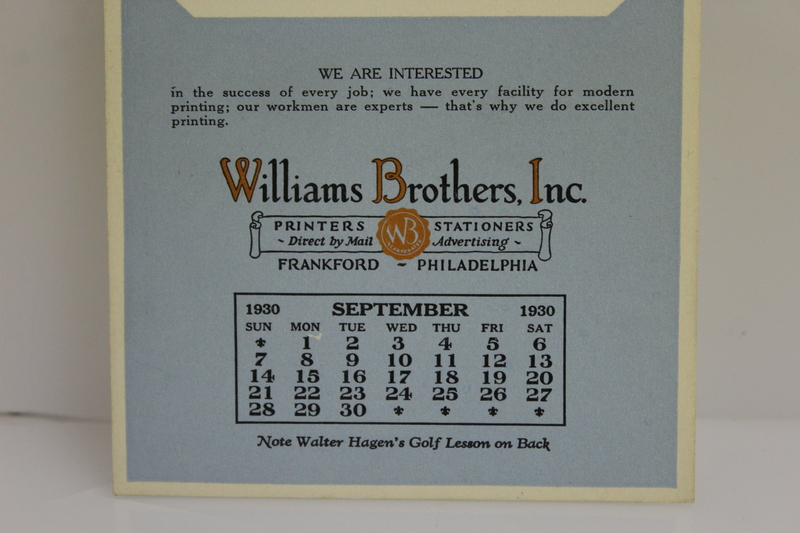 With professionals specializing in layout and typography, WB Incorporated produced some fine pieces of art. 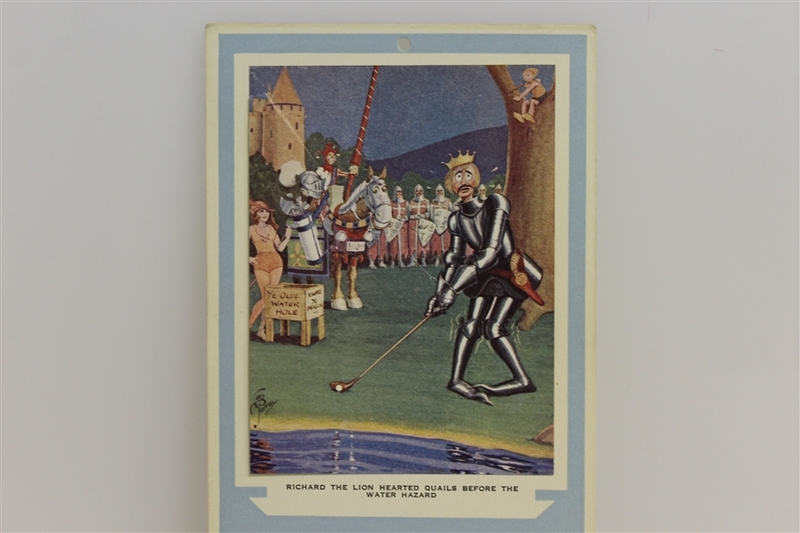 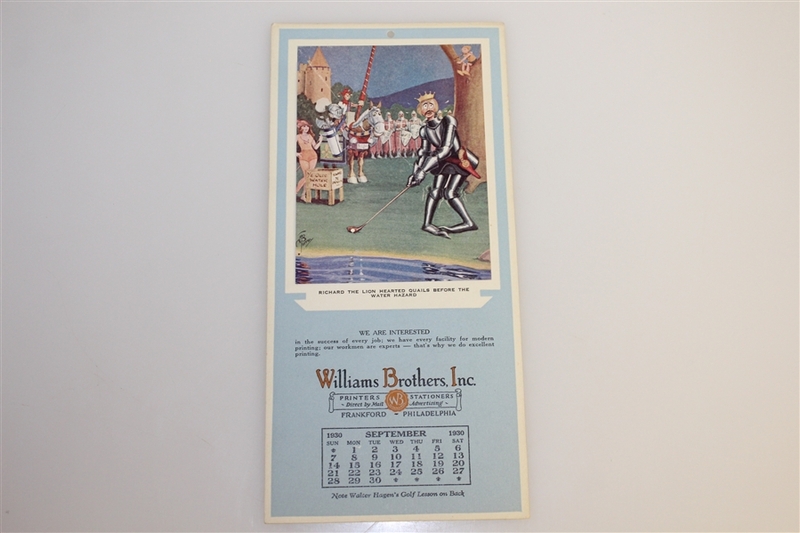 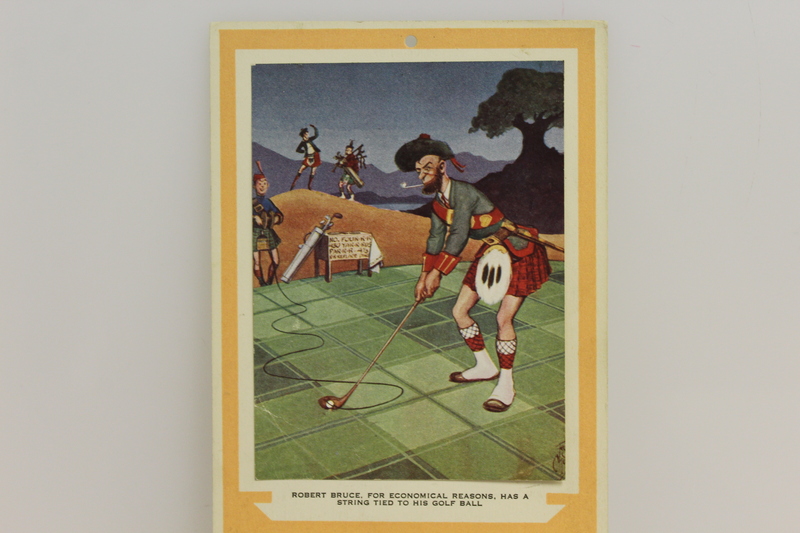 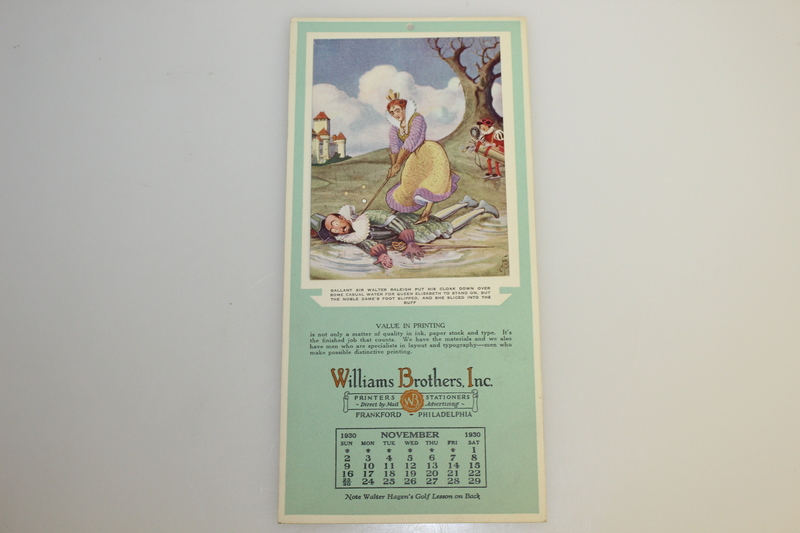 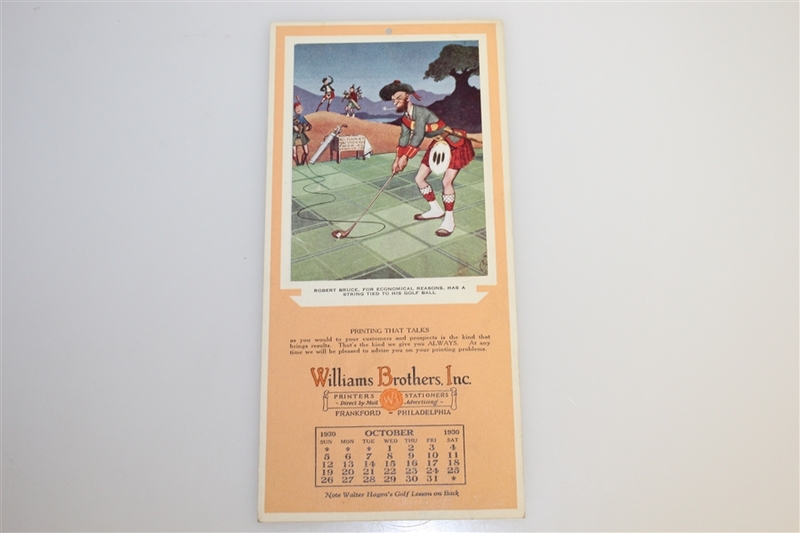 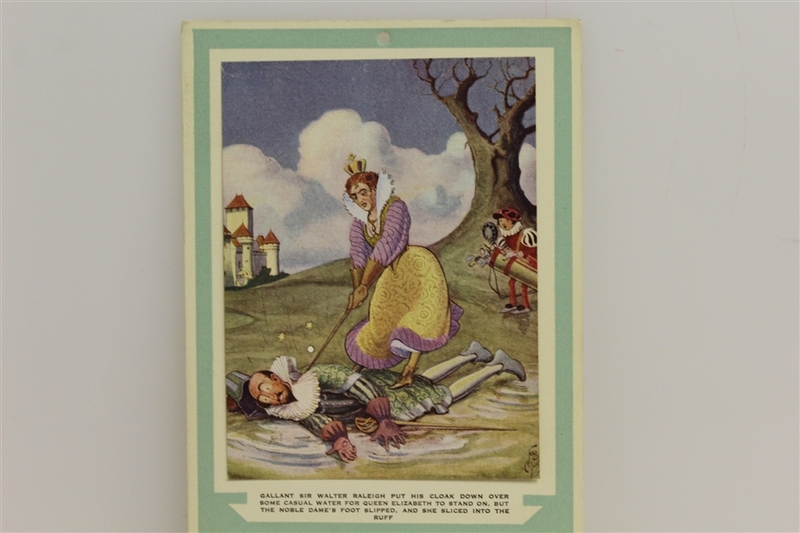 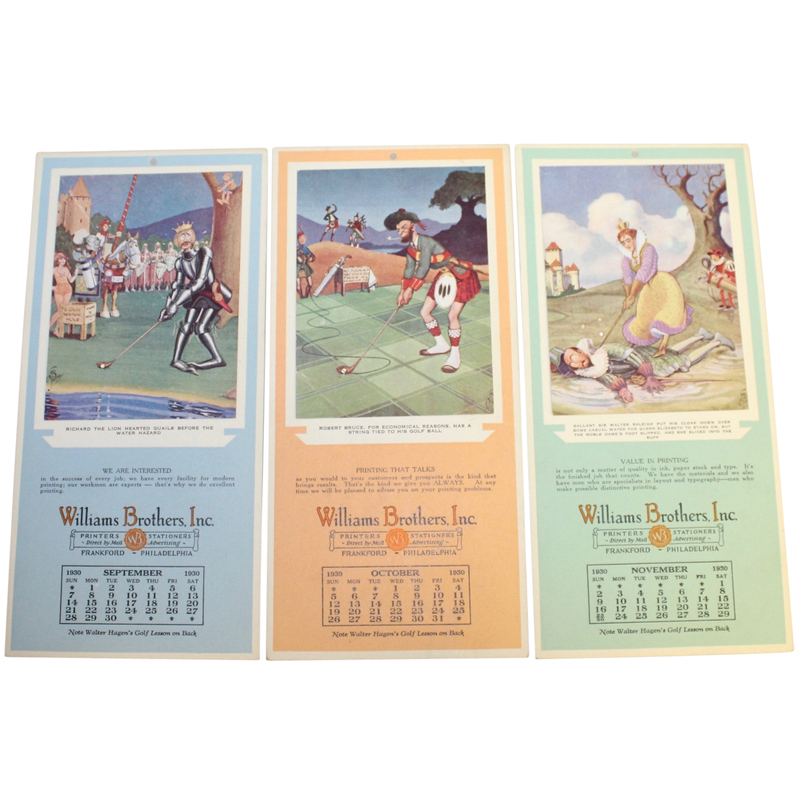 Listed in this lot are three monthly calendars (September, October, November) from the year 1930 that were printed by WB Inc. Each calendar has a golf themed illustration featuring prominent figures in history accompanied by a caption. The illustrations and caption are in the form of political satire. 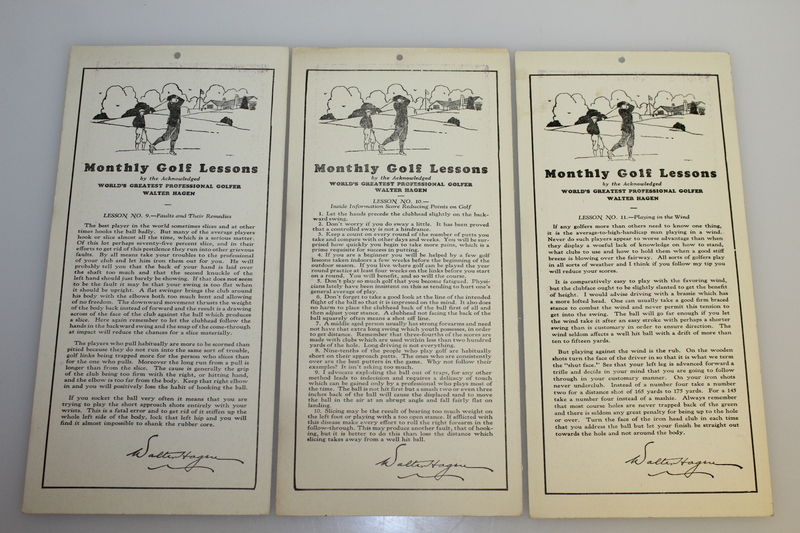 On the back of each calendar there is a golf lesson from Walter Hagen. The calendars are 10" x 4 7/8" and display no signs of fading. 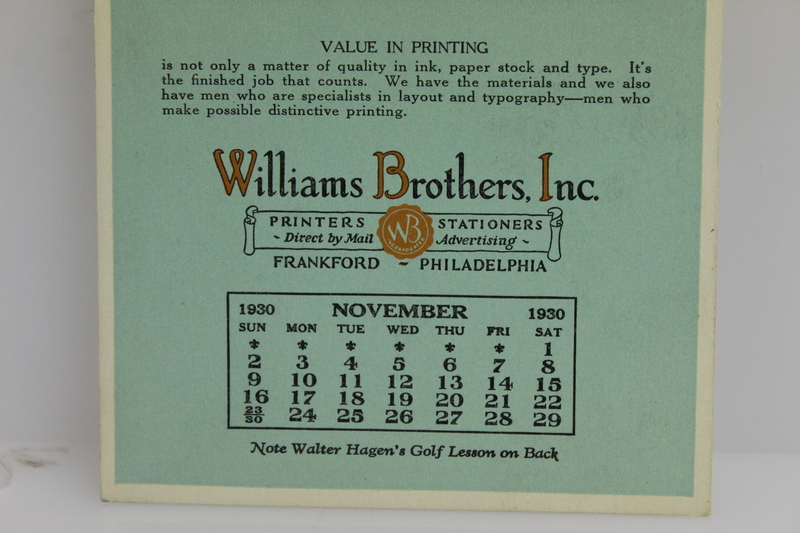 Both the back and front are legible. 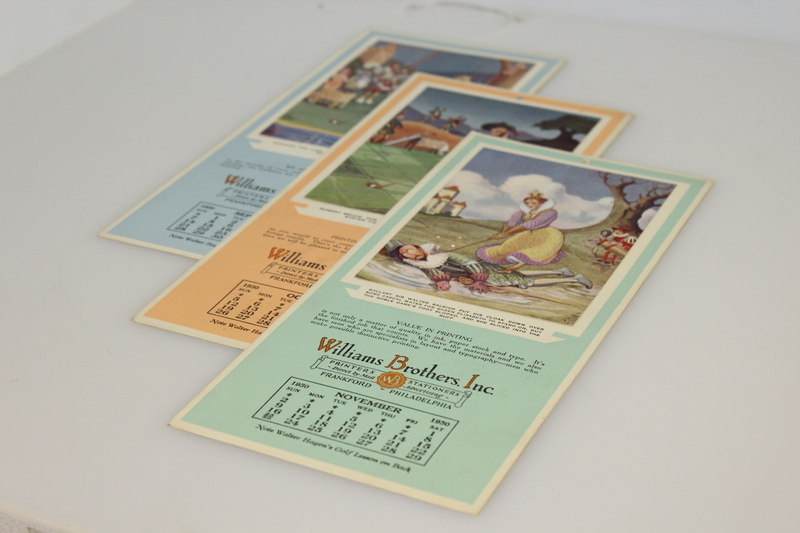 Each illustration is solely fastened at the top edge, leaving the bottom free to move.